It's a New Year - time for some great new Music! Looking for some inspirational music for your commute, or while taking the kids to activities? Check out the newest album Salvation's Tide Is Rising (releasing on January 29, 2016) from the Passion Conference and sixstepsrecords/Capitol CMG. Rooted in the confession of Isaiah 26:8, Passion exists to glorify God by uniting students in worship, prayer and justice for spiritual awakening in this generation. From its start in 1995, the Passion Movement has had a singular mission--calling students from campuses across the nation and around the world to live for what matters most. This yearly conference uses live worship music and teaching to encourage young people to live for the glory of God. 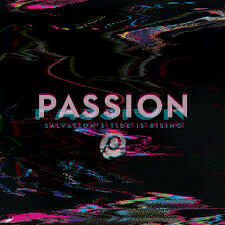 In 1998, Passion decided to document the musical portion of the annual conferences via live worship recordings -- raw, in-your-face praise songs with an alternative edge. I have to tell y'all - this music is amazing! I have been listening to this awesome worship music for the last three days while David works on his school assignments and I am doing housework, or working on things for the blog. It's also nice for driving! One of my favorite songs is Good Good Father, and Passion's version is so good. My Victory and I Turn to Christ are also among my favorites here. Some of these songs we already knew from church, so it's great to turn this on in the car and sing along. This CD will not disappoint! You can find it on iTunes here. I'm excited to give away a copy of the CD to one of you! There are easy entry opportunities via the rafflecopter widget below. Good luck!